Seth Godin coined the term “meatball sundae” several years ago in a book that explained that putting two great things together does not always create something better. And in the worst case, such as a meatball sundae, it can actually create something nobody wants. The meatball sundae presentation effect can happen at two levels: at the event level, and at the individual presentation level. 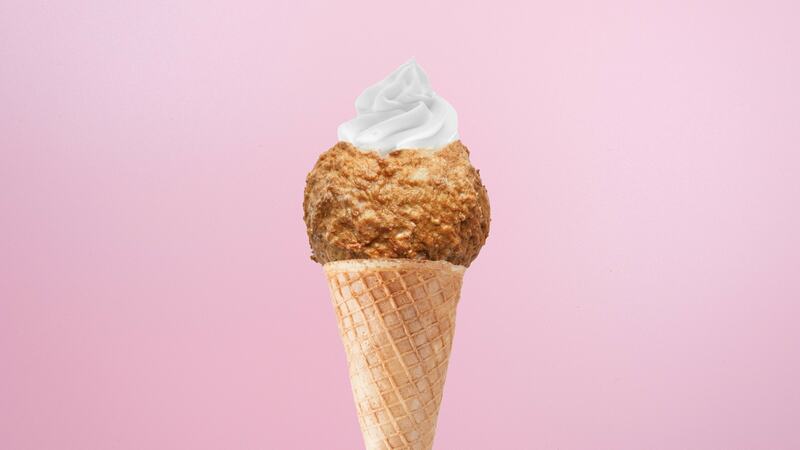 Let’s take Apple’s latest keynote as an example of the meatball sundae effect at the event level. Apple is a great meatball. Hollywood A-stars are great sundaes. But put together, the tastes of the two clashed in a way that was obvious to the most casual observers. We can all learn something from what happened. Apple failed to create a fantastic event with the appearance of stars such as Oprah Winfrey and Jennifer Aniston. In fact, it was a worse event compared to their usual standards. So why would hiring a star magically turn our events into something fantastic? The answer is simple: it doesn’t. More prestigious? Yes. Better and more interesting? Not necessarily. A star can make your event better, if, and that’s a big if, properly selected and prepared. This is why, whenever we design an event, we take extra steps to ensure that your A-list guests do not taste like the meatball in the sundae. We check that they are willing to do their homework, prepare properly and that they will adapt to your audience. This makes a world of difference. At the individual presentation level, the meatball sundae effect is very real too, especially when we try to cram to much stuff into too little time. Does the presentation deliver information that is at the same time too complex for non-experts and too simple for real experts? Meatball sundae presentation. Is the storyline trying to follow too many different structures and logical paths? Meatball sundae story. Does it mix different visual styles that don’t go well together? Meatball sundae slides. Meatball sundae presentations are often the consequence of a poorly done ABC: knowing who the Audience is (A), what are their Burning needs (B) and what is the general Context ©. These elements have to be crystal clear before working on the story, or the presentation will lack focus and seem out of place.